The first of four news shows aimed at getting more people to experience and be inspired by the arts arrives in Sunderland and South Tyneside later this week. 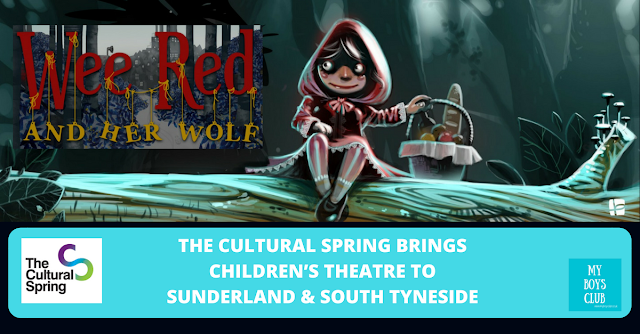 Wee Red and Her Wolf, a tale inspired by Little Red Riding Hood, suitable for children aged 7 and over, will be able to be seen in five community venues in Whitburn, South Shields and Jarrow. I really do think the arts are such an important thing for children and young people to be able to perform and watch. My youngest is busy rehearsing at school for their annual play, this time its Snow White and the Seven Jockey’s - yes it’s the Roald Dahl version of the famous fairy tale! They really seem to love acting, it creates such a good atmosphere in their school and gives them such confidence too. My eldest over the past couple of years has performed a Star Wars-inspired dance at Newcastle City Hall, Shakespeare at Northern Stage, Scottish Opera at Sage Gateshead as well as many plays at school too. The Friday before half-term his year group performed a poem about cats in school assembly. We have seen panto’s, shows at Northern Stage and Live Theatre (where my eldest was the boy in the poster for The Savage) too as a family and it's always a great occasion. As well as performing, going to see live theatre as a child is also so important. It's such a great trigger for the imagination. The arts and being creative have a fundamental role to play in the growth and development of children and can also help their understanding of the increasingly complicated world in which we live. Children’s theatre really should be a precious place in childhood - a space where you have room to dream. I recently helped to launch The Hullabaloo in Darlington, a specialist venue created especially for children and young people with theatre and creative play. Not everyone is as lucky to have The Hullabaloo on their doorstep so projects that take theatre out to people in their own community can help make the arts more accessible and that can only be a good thing. The Cultural Spring is working with the best local, regional and national artists to ensure it’s programme really engages, enthuses, entertains and educates the 100,000 people living in the area. Wee Red and Her Wolf is a badly-behaved tale, inspired by Red Riding Hood, for brave souls aged seven and over and their families. This exciting participatory family show is full of the ideas and sounds contributed by young epic storytellers in South Tyneside and the brainchild of theatre maker Laura Lindow. But they need your help to tell the story; a juice, messy, badly behaved story that refuses to stick to the plan. Their hero is a wee girl called Wee Red – a girl full of story-telling and adventure, but she’s being watched and there are eyes in the forest. Hungry eyes on Wee Red. There will be times when they will need your help, your wolf aversion skills, to bring the story to life and to tell the story. But there will also be times when you can sit back and get lost in the storytelling of Wee Red and her Wolf. And after the story, you’ll get to try a bowl of Granny Gonk’s special soup. Wee Red and Her Wolf starts its tour on February 24th in Sunderland’s Whitburn Parish Hall before touring to four other South Tyneside venues. Tickets for children aged 7 – 14 are £4 with adult tickets £5 (this includes a bowl of Granny Gonk’s most delicious soup). Never mind my boys I am really excited about seeing this play as it’s written by Northumbria University graduate Laura Linlow, whose adaptation of The War of the Worlds I recently saw at Northern Stage and it was one of the best I’ve ever seen! The idea behind the Bite-Size Theatre project is to introduce good quality, short shows into local communities, giving people of all ages an opportunity to see something different in venues in their own neighbourhoods. The four shows, which will each tour five venues, were chosen by a panel which included local community arts champions and representatives from the Cultural Spring. The idea is to offer lunch or tea before or after each of the performances and the shows will be timed around lunch or tea time to make it easier for people to attend. and Becoming Scheherazade, a play incorporating some of the 1001 stories of the Arabian Nights with the real story of Arab immigration to Europe. 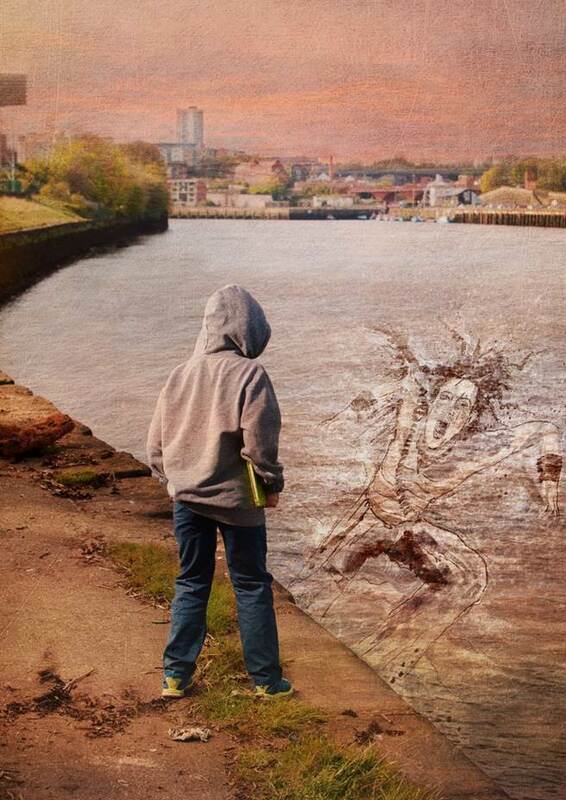 The Cultural Spring was formed in 2014 and is a six-year project – funded by Art Council England’s Creative People and Places programme – that will help more people in Sunderland and South Tyneside to experience and be inspired by arts and culture. Its work is primarily focused across ten local authority wards in Sunderland and South Tyneside where they work alongside communities to develop an exciting programme of events, performances, workshops and other opportunities that will enthuse, educate and encourage local residents. Disclosure: The post has been sponsored by The Cultural Spring.